Overwatch game director Jeff Kaplan revealed the next six Overwatch heroes are already in development. Based off of Blizzard's hero release pattern, this would mean the heroes for the next two years are already planned out. Jeff "emongg" Anderson, an ​Overwatch streamer, had the opportunity to test Hero 29, Ashe, at BlizzCon. He was joined by Kaplan who answered a few questions about Ashe, the future of Overwatch, and more. Kaplan said the team is aware the game needs more support and tank heroes than damage heroes. "We plan to make more tanks and supports -- and we know the game needs more," Kaplan said. "We have many plans, and I'm not exaggerating when I'm saying this but we're literally working on up to six heroes right now. We have the next six planned." Blizzard's hero release pattern in Overwatch adds three new heroes a year. 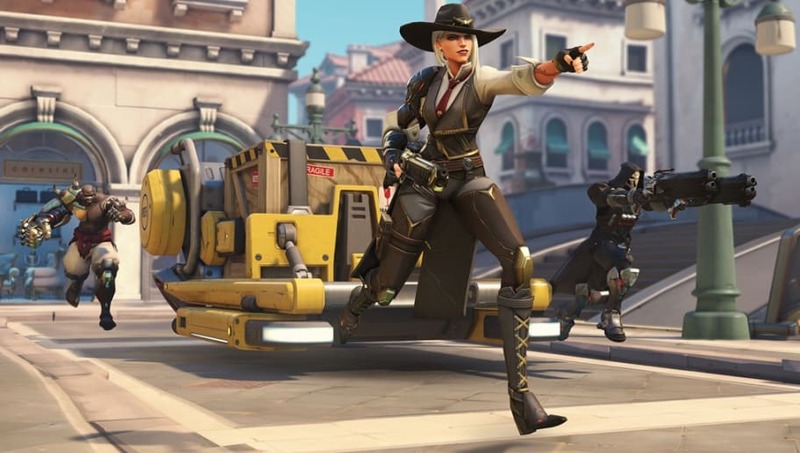 Ashe, revealed Friday during the ​"Reunion" animated short, was the third Overwatch hero released this year. A hero is released in March, May, and November -- meaning the next hero, who Kaplan implied ​might be Echo, will be added in March. The stream also gave plenty of information on ​what players can do with B.O.B., Ashe's ultimate and omnic ally.